1) Click on the product(s) to select the products that you want to search. 2) Once products are selected the "order" icon will become clickable. 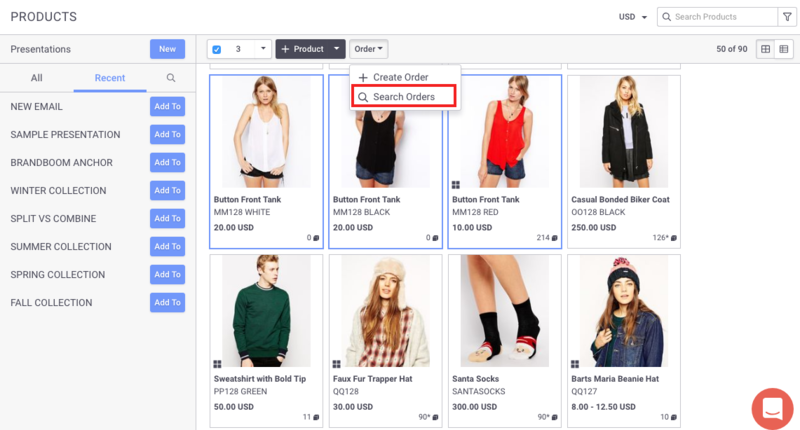 Click on the order icon and select "Search Orders"
Note: The Search Orders results will include orders that contain any of the products you selected to search.